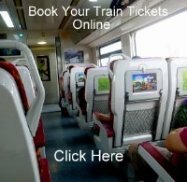 On this page you will find links to timetables and ticket prices for all KTM Singapore Trains to Malaysia, to places like Kuala Lumpur, Penang, Ipoh, Langkawi, Kota Bharu and into Thailand. Long distance KTM trains from Singapore are no longer available and you will now have to take the 5 minute shuttle train "Shuttle Tebrau" to JB Sentral in Johor Bahru to connect to the KTM Berhad long distance rail services. Once you arrive at JB Sentral Railway Station in Malaysia, you can connect to the KTM rail network which has long distance trains departing along the west coast to Kuala Lumpur, Ipoh, Penang (Butterworth), Alor Setar and Arau (for boats to Langkawi) and the last stop on the KTM line at Padang Besar, located on the border with Thailand. You can also use the "Jungle Railway Line" that branches off of the main North - South Line at Gemas. As the Malaysian railway system is undergoing many changes at the moment, please take notice of the following information to help you plan your train trip from Singapore. 1) The line between JB Sentral and Gemas has yet to be upgraded to accommodation the new, faster Electric Train Services (ETS Trains). So if you want to travel by train from JB, through Johor State, you will have to use the Shuttle Train Service that operates from JB Sentral to Gemas and Tampin. 2) Starting from Gemas, all long distance Intercity Diesel trains are now cancelled and replaced with the new, much faster ETS Trains. 3) If you want to travel cheaply by train, you can now connect to KTM Komuter train services from Tampin Station to Kuala Lumpur. The railway station in Butterworth is just a few minutes walk to the ferry over to George Town on Penang island, making it easy to travel from Singapore to Penang without a long bus journey down the highway. All ETS Trains stop in Ipoh in Perak state. Travel from Singapore to Langkawi is possible by train and ferry. Catch an ETS Train from Gemas to either Alor Setar or Arau (the nearest stations to the ferry ports). Travel on Malaysia's famous jungle railway for some fantastic scenery through the heart of the country, crossing over to the east coast and gateway to the beautiful Perhentian Islands. Catch a Shuttle Train to Gemas and connect to any ETS Train heading north with all high-speed Electric Train Services stopping in the capital. Travel by train from Singapore to Malacca is possible via the Tampin railway station about an hour away from Malacca by bus, or a quicker but more expensive taxi. You can travel to Malaysia's most famous National Park by train from Singapore with services every day leaving JB for Jerantut, the gateway to Taman Negara. It is possible to travel from Singapore to Thailand by train, but will involve a couple of stops now that the long distance Peninsular Express (formerly the Langkawi Express) to Hat Yai in Southern Thailand has been cancelled (from 19/5/2016). Once you get to Gemas, daily ETS Trains can take you all the way to the border with Thailand at Padang Besar. Another way to get to Thailand from Singapore by train is to stop off in Georgetown, Penang, then take a KTM Komuter to the border to connect to the daily International Express from Padang Besar to Bangkok. Alternatively your could take the "Jungle Railway" up through the middle of Malaysia over to the east coast and Kota Bharu. You can then continue by bus or taxi to the border, where the Thai railway network starts at Sungai Kolok station.